This is the start of our new series: We will review and present all sort of apps, websites and applications that will help you to train your brain and make smarter. For today we start with an app that offers a new kind of game play. It is inspired by the japanese logic puzzle Sudoku but adds another twist in thinking. 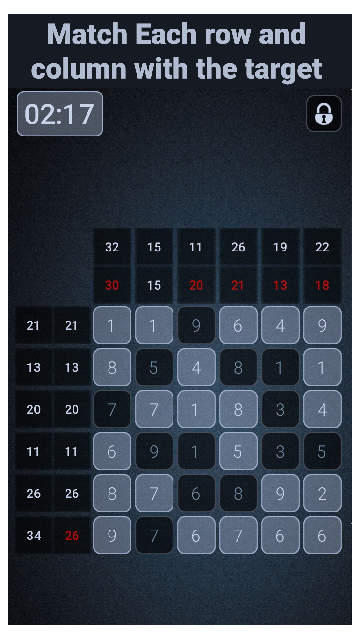 The app shows a grid of digits. 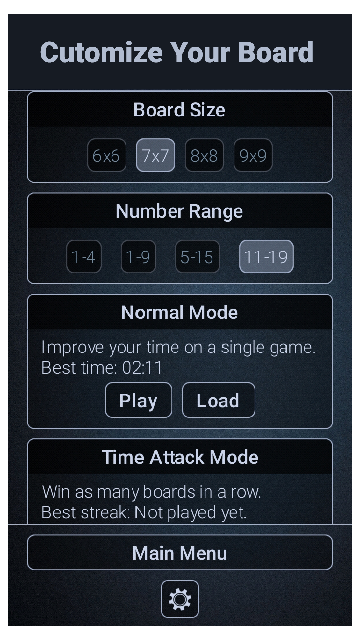 For every row and column the player has to match the sum by switching the numbers on and of. The app offers different board sizes from 6×6 to 9×9 columns and rows. Mathemechanic is available only for Android. See the screenshots at the bottom of the page. Have fun and bend your mind.